Global Themes: You lookin' at me? Hint: This is pretty famous in the land of the maple. nice shot. nice wood art carving. nice Haida indian totem pole, EH?? ingrid, you're sort of right. it's a sculpture commissioned for a museum, not a totem pole. 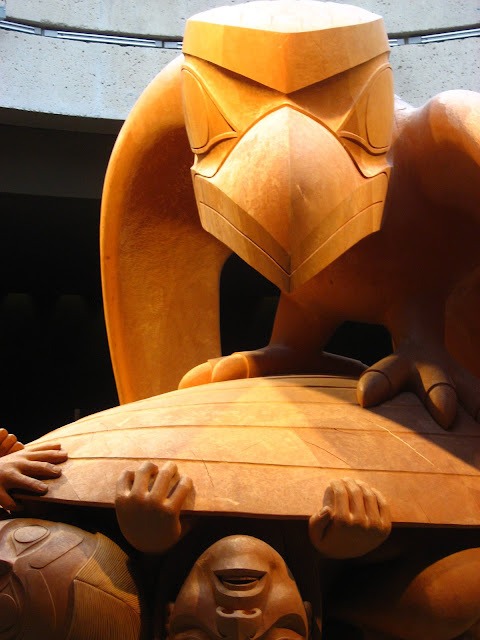 but it is by a half-haida artist named bill reid. took it on my recent trip to vancouver.